We've tapped the unique lens and experience of Left Foot Right Foot (LFRF) to chronicle Nike's Pinnacle Utility pack that has just landed on Hype DC shelves. Taking inspiration from past trail and infamous Terra designate designs, combined with the rich vein of bold aesthetics made famous by the All Conditions (ACG) assortment, Nike's Pinnacle Utility pack exudes reflexive looks on updated, rugged outdoor footwear designs. To put these utilitarian silhouettes to the test, in form and function, LFRF scaled the Cathedral Range in Healsville VIC, following their penchant for adventure and reported back. When designer Perter Fogg took the reign of ACG and Trail running design at the Swoosh in the early 90s, his distinct design cues and rebellious spins on the largely conservative and durable line, would still be evident almost 20 years later. 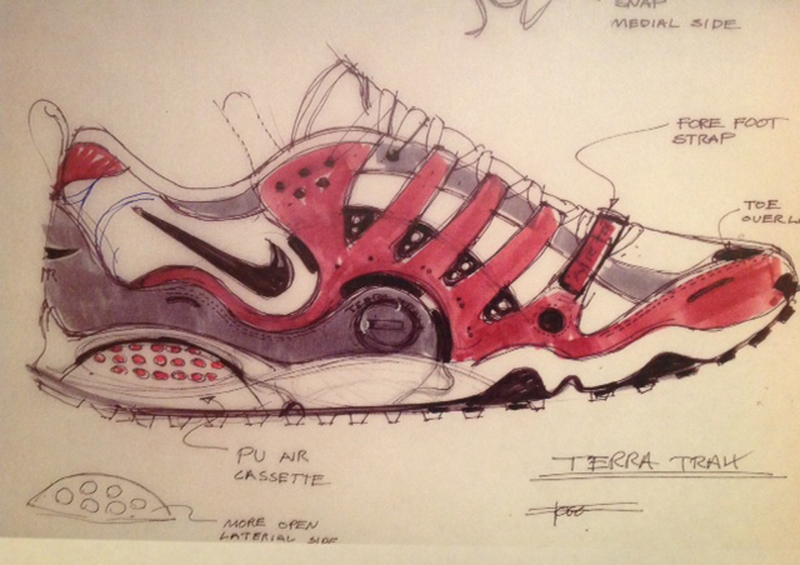 The hero of his design output, the Terra Humara would become a cult classic, even gracing high-fashion look-books and receiving a HTM edition, thanks to it's newfangled and radical nature. Now remixed for a new school and under a new name, the Air Zoom Grade takes the automotive disc inspired Humara overlays and largely over-sewn upper and reduces it to a simple bootie structure. Providing a sock-like fit, a low-rise TPU wrap ensures stability while a fast-lacing system with cinch ensures a custom fit. Fused to a solid rubber outsole with encased ZOOM Air, and a siped rubber tread, the Air Zoom Grade is complete with reflective hits on the forefoot Swoosh, throat and utility eyelets while retro ACG prints inspire the printed heel loop. The Nike Pinnacle Utility Pack is now available online and from Hype DC stores | Soon to be joined by the Nike Footscape Mid Utility in the coming days.